Beer tent for Thirsty over 18’s. Souvenir Range can be ordered directly with our entry. Limited items available in our Souvenir range, subject to availability. Goudveld the new home of the Houtkapper Trail Run is an old mining town in the lush afromontane forests of the Garden Route National Park. This popular hide-away is 22 kilometres from Knysna. Nestled in the lower slopes of the Outeniqua Mountains the area has a magnificent variety of fynbos, birds, amphibians, reptiles and mammal species. Back in 1876 gold was discovered by James Hooper along the Karatara River. Later in 1887, more discoveries were made in the nearby Millwood area. Millwood in those days had hotels, a church, a shop, a surgery, a bank, school and a Post Office. The goldfields are also still visible. This area is also where most of the woodcutters (Houtkappers) lived until they were removed from the forests in 1939. Renowned author, Dalene Matthee writes much about the lives of woodcutters. Woodcutters are believed to be of Scottish or English descent who eventually merged with the Afrikaans community of Knysna back in the late 1770s. They led difficult isolated lives in the Knysna forest, mostly in huts. They worked extremely hard and reportedly exploited by timber merchants. Jubilee Creek: A picnic site with a pure clean streaming running through it. It was named after Queen Victoria’s Jubilee year in 1887. Where is Goudveld: Goudveld Road, Bibby’s Hoek, Rheenendal, 22 kms from Knysna. Lots of kiddies activities organized and loads of space to have fun. Watch a small clip of the route scout to get and idea of the terrain The classic cliche applies – You had to be there. The 15km and 27km routes have been chosen not only to challenge the intermediate to experienced trail runners but to provide them with an opportunity to experience the deepest secrets at the heart of the Garden Route National park. Single track and terrain to excite trail runners of all ability including an easier route for the beginner trail runner of 9km. Water can be drunk and bottles/hydration packs filled at the various watercrossings – don’t be put off by the colour (tannin). This route is best suited for beginners and first time trail runners. Do not be fooled by the ‘beginners’ description though. Runners will have to deal with a challenging 2km uphill, often referred to afterwards as ‘that never ending uphill’. Once at the top of the hill you will find renewed energy knowing that all the climbing is done and the rest of your race is easy and downhill running back home. Walkers welcome on the 9km. This route is best suited to the intermediate and stronger trail runner wanting to gain further trail experience. The route includes single track through breath-taking Knysna forest, water crossing, a waterfall and some hills that are guaranteed to get the heart pumping. The 15km will follow the same ‘never ending uphill’ as described in the 9km above. 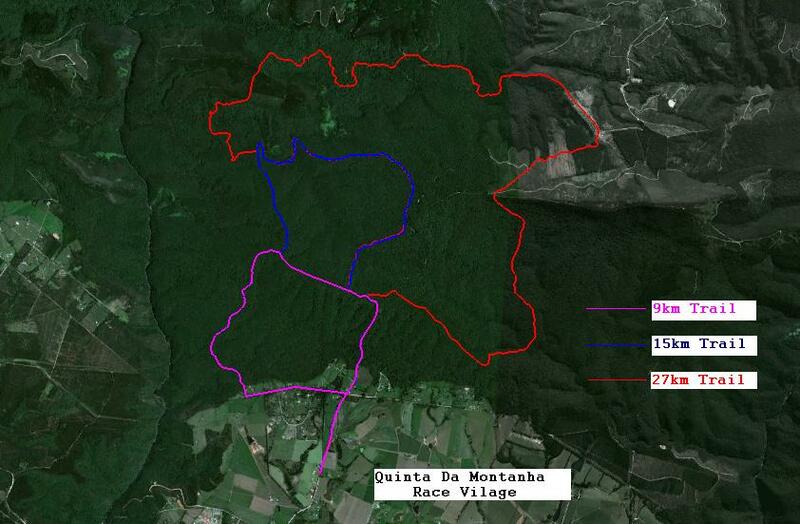 Once at the top of the climb the 15km route will split from the 9km. Runners will have time to recover while running about 3kms downhill before turning into the very popular “Circles in the forest” hiking trail. Runners will be treated to a waterfall at the very lowest point of this route. Caution needs to be exercised on single track and stream crossings as rocks and leaves can be very slippery. Pay attention to Marshals as sections of the route must be completed in single file. As to be expected after a long downhill runners will be faced with another long and never ending uphill. The word ‘vasbyt’ comes to mind! The 15km trail run requires the same effort as that of an average 21km road run. The routes will be clearly marked and marshalled. Most of the route will be under a full tree canopy. This route is best suited for the experienced trail runner, or the long distance road runner. Caution needs to be exercised on single track and stream crossings as rocks and leaves can be very slippery. Pay attention to Marshals as sections of the route must be completed in single file. The routes will be clearly marked and marshalled. Most of the route will be under a full tree canopy. Move at a speed that falls within your capabilities and we will all have a great day in Mother Nature. This route is not highly technical with mostly single track and hiking trail. Caution needs to be exercised on single track and stream crossings as rocks and leaves can be very slippery. Pay attention to Marshals as sections of the route must be completed in single file. Runners can expect challenging climbs with the highest point fairly early. The Knysna Nissan King and Queen of the mountain will be reached at the 8km mark already. King & Queen of the Mountain proudly sponsored by Knysna Nissan. With the highest point done and dusted, runners have an easy stretch towards the Jubilee Creek waterfall. The approach to this waterfall is the most technical and dangerous section of the entire route. Warning signs will be in place to warn runners of the section ahead. Once safely passed the waterfall, runner will be overwhelmed by the untouched beauty of natural indigenous forest. Without realizing it, this breath-taking scenery makes one completely forget about those uphills just a few kilometres back. Runners are guaranteed to be confronted with the irony that they should actually not be running past such beauty. The route will follow a section of the Outeniqua hiking trail where ‘Natbos’ will yet again treat runners to the breath-taking scenery. After another steady climb out of the Outeniqua hiking trail, runners can enjoy a descent towards the lowest point on route at about the 18km mark. From here runners will start climbing again until they re-join with the 15km route into the ‘Circles in the forest’ hiking trail. Another waterfall to admire BUT…. after enjoying her beauty for the last 20 kilometres and having just passed the lowest point on route, the forest will have the final say by making you climb one last uphill before letting you go. Just as a friendly reminder to us trail runners and nature lovers to respect her and also to appreciate the privilege of running under her canopy. Once out of ‘Circles in the forest’ it’s easy rolling down to the finish. We are very excited about our bigger race village for this year. In conjunction with Quinta Da Montanha, we aim to keep your whole family and supporters well entertained and taken care of, so that you can enjoy the beauty of the Knysna Forest while running the picturesque Houtkapper Trail run. Quita Da Montanha offers huge open fields for the youngster to run around and enjoy the fresh country air. The youngsters can also look forward to horse rides and a jumping castle. Tractor rides will also take place on the hour. To make sure you are awake and energized, our coffee stand, Bru Coffee, will be ready from early morning. With a variety of breakfast and lunch options available from our food stalls, we”ll gaurantee you won’t go home hungry. Fresh from the earth to take home with you, will be country fresh vegetables at the Farmers stall. For those more on the thirsty side, Red Bridge Brewery will once again be ready with their three craft ales to for that well deserved beer after your run. Cooldrinks and water will also be available from our stalls. Lots to keep you and your family busy untill our big prize giving at 2pm. Lucky draw prizes to look forward to include. Alistair: I participated in the 27km Trail Run. It was was simply the best trail running experience I have had. Aside from the incredible surroundings of the forest and Jubilee Creek, there was a bit of everything in the trail run – a great mix of very technical & less technical, and the watering stations were a very welcome addition to this race. Congratulations and thanks to all the guys involved in setting up the route (it was really well sign-posted & this was great) and marshalling and manning the water-stations. I will definitely be wanting to enter this event next year, and even though I want to keep this gem of a trail run a secret so that I can selfishly enjoy it in the wonderful silence of the forest for many years to come, I suspect that you guys have done too much of a good job to avoid word getting out – and I reckon next year there’s going to be a queue of entry hopefuls! Antionette:Baie geluk met ‘n fantastiese trail run! Die Houtkapper roete was werklik stunning. Die ondersteuning op die roete was fantasties. Ons was nog nooit vantevore so hartelik by enige waterpunt ontvang nie, julle klub se mense is puik! Ja, ek weet hulle moes bietjie vir ons wag, maar almal was baie vriendelik en verwelkomend. Dankie vir die “sweepers”, wat geduldig was met ons die laaste klompie kilometers toe ons al bietjie moeg was! Sandra:Thank you for organising a stunner of a race. The signage, marshals, water points and start/finish venue were tops! Trish:Thank you for an awesome trail it was my first ever trail run, and it was everything I hoped it would be and more . Amore: First time I ran the Houtkapper and it was absolutely stunning! Will definatly be back next year. Race packs must be collected from Fechters, Main street Knysna on Saturday, 29 June 2019. Runners will NOT be allowed to run if race packs are not collected on Saturday. Registration open from 10am -5pm. There will be NO registration on race day. Positive proof of ID must be shown in order to collect your race pack, NO THIRD PARTY PICK UPS ALLOWED. Start chutes close at 08:15 sharp on Race day for compulsory race briefing. Arrivals after this time will not be allowed to start. Waterpoints will have refreshments. All refreshments must be enjoyed at the table and no cups may be removed from the points or be carried onto the route. Runners are adviced to carry backpacks with water. Spectators are requested to remain at the Start/ Finish area. 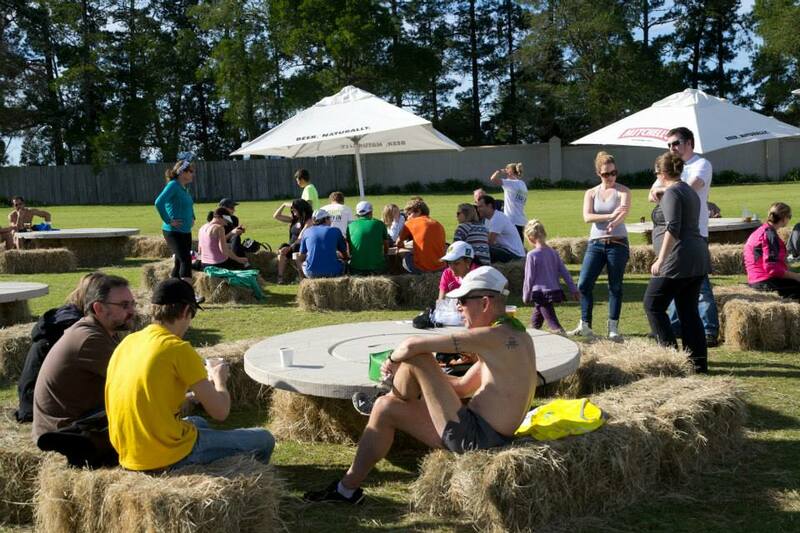 Start and finish venue is at Quinta da Montanha, Bibbeys hoek, Rheenendal. Parking marshals will assist with parking. .
Big lucky draw is at 14:00 . You must be present to be in contention for Lucky draw prizes. First 3 spots on races will earn prize money for men and women. Winners must be present at prize giving to receive their money.